Sullia, Jan 25, 2017: Ranganmane Cultural Centre of Sullia, has chosen K.V. 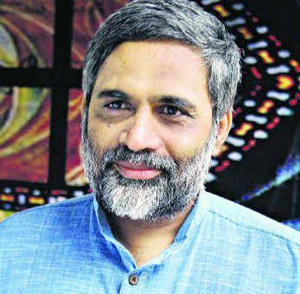 AKSHARA director, playwright and writer in the Kannada language for ‘’Rangamane Award-2017’’, said Theater Director, Rangamane Cultural Centre Head Jeevanram Sullia. Magsaysay awardee KV Akshara, presently heads Ninasam, the theatre group and cultural complex, in Heggodu, Karnataka, founded by his father K V Subbanna. Being head of Ninasam, he has guided many peoples and showed path in theatre for many students. KV Akshara has written more than 30 books in Kannada, on drama, theatre and performing arts, and translated books on theatre to Kannada language. He has directed the dramas like Smashana Kurukshetra, Ahalya, Kirugurina Gayyaligalu, Thughlak, Sangyabalya, Swapnanataka for Ninasam and Ninasam Tirugata troup. He has honored with Karnataka Sahithya Akademi award, Karnataka Nataka Academy Fellowship, Alva’s Nudisiri Award and many more. The award is given during the valedictory ceremony of three days ‘’Rangasambrama-2017’’held from February 03 to 05. The honor includes Rs 10000 cash, memento and certificate. Congratulations Sir. It is your effort which has brought you success.